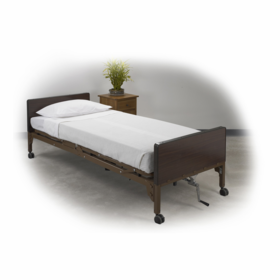 The Lumex Select Alternating Pressure / Low Air Loss Mattress Systems are specialized mattress replacement units that utilize low air loss technology with a specialized mattress design that provides pressure management for the treatment of pressure ulcers. The 2:1 alternating function provides active prevention for pressure relief, especially for those in acute care and long term care settings (the cells inflate and deflate in a 2:1 cycle, meaning 1/2 of the body is always supported at any one time). 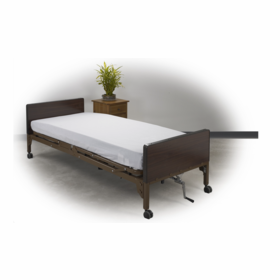 The Lumex Select Alternating Pressure / Low Air Loss Mattress Systems offer �cell on cell therapy�, whereby the air cell is split in two where the bottom cells do not deflate if the upper cells are completely deflated in order to provide extra protection and low pressure comfort for the patient in the event of a power failure and the mattress deflates. �Alternation time is set to 12 min. In addition, the caregiver can select the �STATIC function� stopping the alternating function and providing only low air loss therapy � Low Pressure failures will produce an audio alarm for added safety. 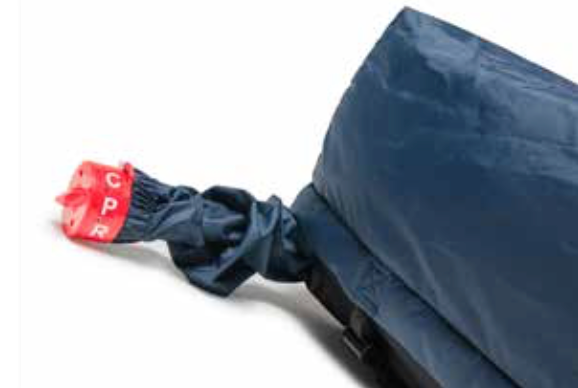 The alarm can be temporarily muted by pushing the pump front panel ALARM RESET button, resetting the alarm for 20 minutes � The foot board mounting hanger provides convenient placement on the bed � The soft- rm adjustment allows the patient to adjust the rmness or softness of the surface for optimal comfort with a comfort level dial � Quick Release CPR Valve � Quilted Cover � Weight Capacity: 350 lb Evenly Distributed � Size: 36" x 80" x 8"